The OFFICIAL Daily Yoga (All-in-One) Coaching app, designed by DailyYoga Inc.
Daily Yoga (All-in-One) is the World's Most Dedicated Yoga Coaching App, providing dynamic yoga sessions with different durations & difficulty levels, ELEGANT UI and HD VIDEOS, Live voice instructions, Background Music, Social Community Support, and more. 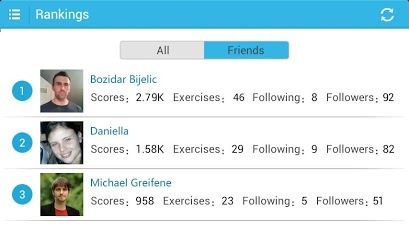 Get your FREE Personal Yoga Coach and enjoy the Best Yoga Classes on Mobile! Featured in Android Headline, Android Zoom, AndroidAppReviewSource, Apps400, Hello Android, LatestAndroidApps, AndroidPIT, Android Forum, Android Community, and more. 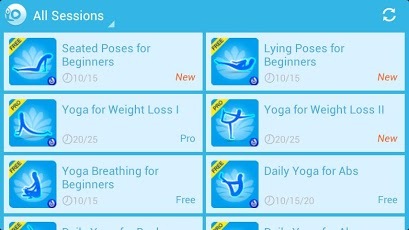 ■ "This is the best YOGA APP! Just tried out all the free sessions. Great app!" ■ "Nice yoga classes & awesome teachers. It is the best app in the market for yoga." ■ "Good job creators! This app is really keeping me in shape." ■ "This app takes seconds to use, it’s that simple." ■ "Good App! I am enjoying this app and have found myself doing more yoga." ■ " Very relaxing, yet effective Love ‘Real’ yoga. Explains each pose very well"
■ "I can’t believe this app is free! I would definitely be purchasing the add-ons." * Note: All yoga sessions in this app are independent plug-in that require to get installed individually. * Note: You need to create an account for free within the app to join our yogi community.